The Elite EFS-15 ornamental aluminum fence features a picketed top at staggered heights, giving your new fence a really stunning design. If you're looking to add some style and security to your property, you can't go wrong with the EFS-15. 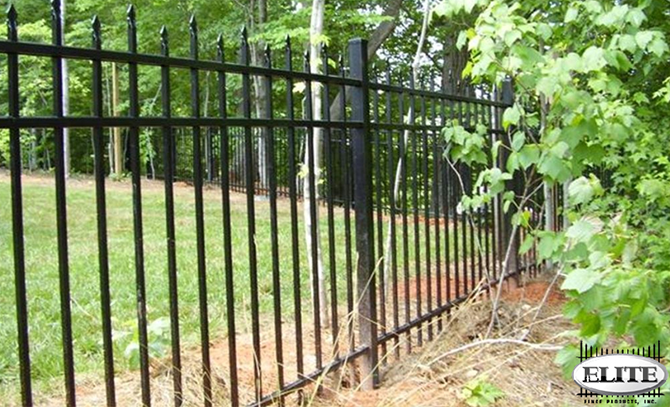 Manufactured out of top quality materials, then given a powder coated finish, all Elite aluminum fence also includes a lifetime limited warranty so you know your new fence is not only built to last, but its protected. 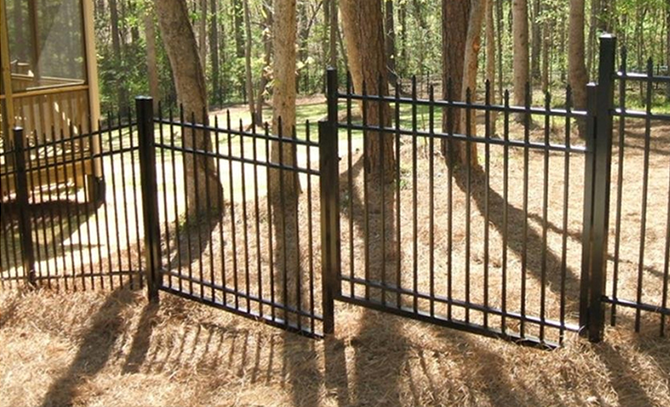 Every Elite aluminum fence will sell comes shipped in pre-assembled fence panels. 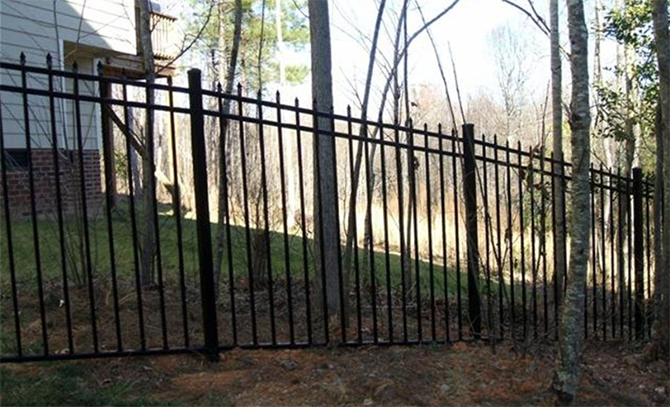 This eliminates most of the hassle of installing your new fence. 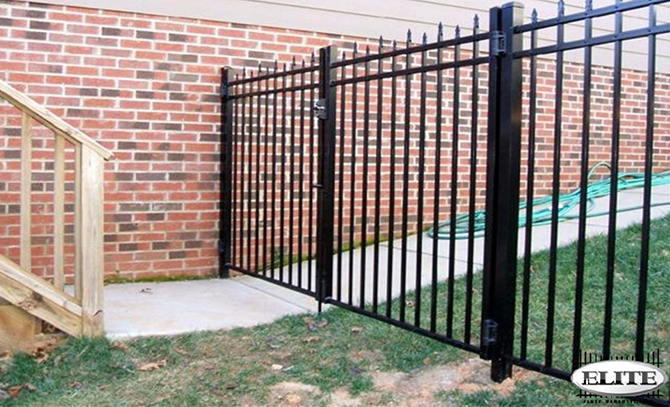 Not only is Elite aluminum fence incredible durable, it's also incredibly easy to install. You can also choose whether you have a picket through bottom rail, or a no picket through bottom rail. A fence with a no picket through bottom rail is ideal if you're looking to meet local pool codes. 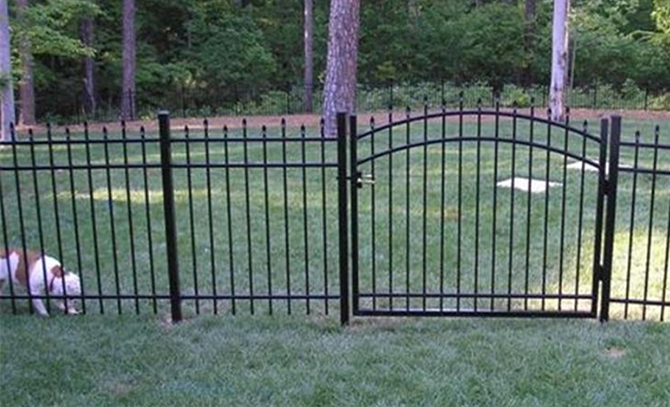 We also have available aluminum gates in both single entry and double drive that match each style of fence. These gates are available with the standard style, or with an estate or curved top. All of our Elite aluminum gates include your standard hinges and latch, although self-closing and self-latching gate hardware is also available as a popular accessory. If you're looking for a cantilver gate to go with your new Elite aluminum fence, be sure to checkout Elites very own ZipTrack™ gate system. Here at Discount Fence Supply our goal is to provide you with all of the information you need to make the smartest fence purchase possible. If you still have questions about our Elite aluminum fence or wish to complete your purchase over the phone, we're here for you! Our friendly sales representatives can be reached toll free Monday thru Friday 8-5 EST at (800) 878-7829, or you can email us anytime at sales@discountfence.com.